“We in the European Parliament call out human rights violations across the world. I see no reason not to do so in this case too"
A member of the European Parliament made a case for Washington, D.C., statehood and urged the body to call out disenfranchisement during a parliamentary session Wednesday. Alex Mayer, a United Kingdom Labour Party member representing the East of England region, spoke at a plenary session of the legislative body that governs the European Union to push the body to recognize D.C. residents’ lack of voting rights at the federal level. In a straightforward and stern tone, Mayer said she was “baffled” to learn that the District’s 700,000 residents lack voting representatives in the U.S. Congress. Thank you to @alexlmayer, MEP for raising the issue of #DCStatehood on the floor of the #EuropeanParliament during today's vote on the 'Annual Report on EU-US Relations' in the @Europarl_EN#PlenarySession. Mayer referred to a June meeting with Shadow Sen. Paul Strauss (D-DC), the non-voting member of the Senate who represents the District of Columbia. Strauss thanked Mayer for her comments. "We're trying to get international attention on the D.C. statehood movement, and one of the things that has worked in the past is international pressure," he told News4. Statehood efforts for the District have faced a series of challenges despite a wave of progressive support around the country. In 2016, a referendum on statehood received support from 86 percent of voters, though President Donald Trump’s victory dashed any remnants of hope for Republican support. 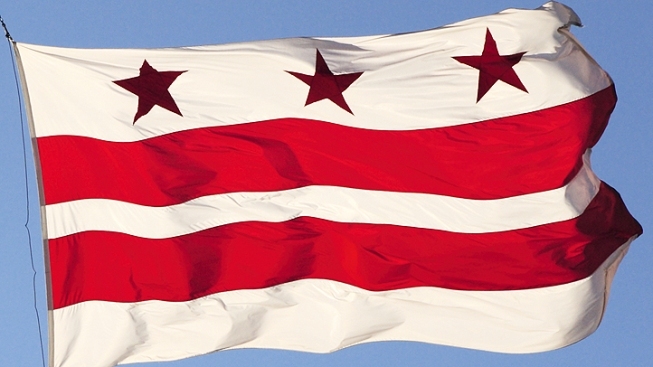 While local officials, including Mayor Muriel Bowser (D) are leading a bipartisan push for statehood, national supporters have portrayed the movement as a way to cement Democratic power should Republicans lose control of Congress and the presidency. Republicans fear a 51st state would tip the balance of political power in Democrats’ favor.